On entering Sanctuary we encourage you to shed your digital skin & leave your online persona behind. No social media, no internet browsing, no calls to be taken or made. 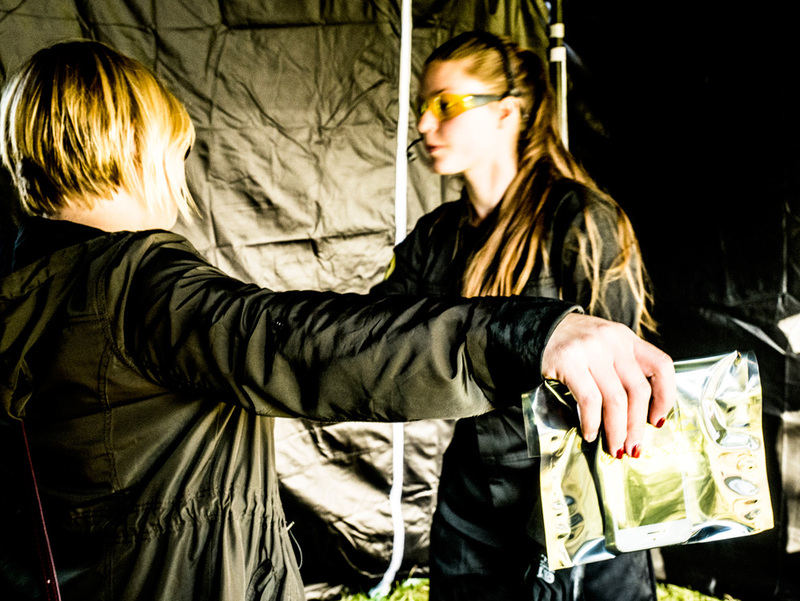 Operatives in the Digital Decontamination Portal will direct you through the transition. For the duration of your stay in Sanctuary you exist nowhere else other than here. Collective Nonsense (CN) are based in Dumfries and Galloway with members from across the UK. In collaboration, CN specialises in public artworks in unusual locations that use the audience as a primary component. The intention is that both the audience and the the artists are involved in the same creative adventure.